"The problem has been turning mid-division into contention, anywhere. This course, in his home state, offers a good chance to step up. Wagner was on a great run here until last year's final round." Without any reason to think there couldn't be an outsider winner of the Nordea Masters, this week's column was always likely to focus solely on the Wyndham Championship. We've seen numerous shocks at Sedgefield over the years and there's a specific angle to follow, that almost always involves players at 99-1 or better. If you do fancy backing an outsider in Sweden, there's plenty of ideas across these pages. Steve Rawlings puts up five at huge odds in his comprehensive tournament preview and another in our each-way column, where Mike Norman has dug out a very interesting 500/1 chance with local knowledge in Niclas Fasth. 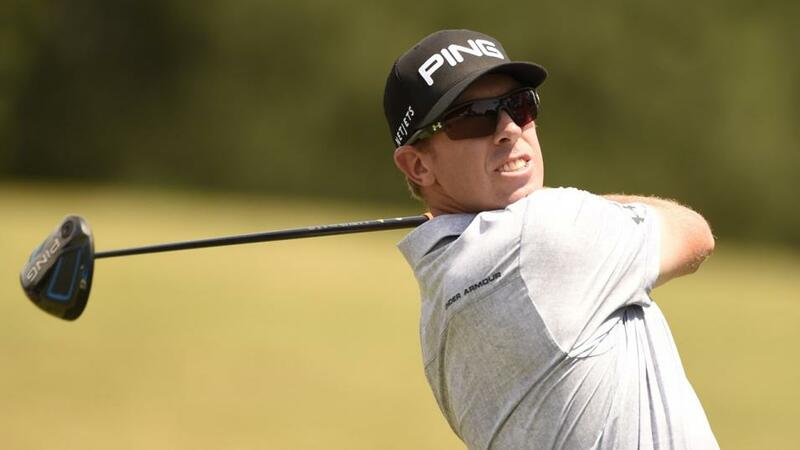 Following golfers ahead of crucial money list or qualification targets has long been a sound strategy and there are few more significant than the Wyndham. Players who finish this weekend outside the top-125 will not only fail to qualify for next week's bonanza, and the chance to win career-changing prizes, but will lose automatic playing rights for next season. By definition, those currently below 125 haven't hit many heights this season but the extra incentive usually sparks big improvement from a few, regardless of what has gone before. As Steve points out in his tournament preview, in the last four renewals, two winners and a runner-up began below the cut. Three years ago, a prolific PGA Tour winner and Ryder Cup star burst back to form out of absolutely nowhere to win this title. A case really couldn't be made for Davis Love then, or another classy type in Camilo Villegas a year earlier for that matter. Mahan's chance is comparatively clearer following recent signs of life. His comeback doesn't amount to anything special on paper - seventh and 23rd in two low-grade events - but his stats bode very well. Among these over the past three months, he ranks first for birdie average, third for greens in regulation and eighth for putting average. Over the past year, he ranks fourth for par-four performance. That's precisely what is needed at Sedgefield, where he notably produced his best result of 2017. Next another experienced, multiple winner. Wagner is 136th on the money list although he hasn't been playing so badly. He's only missed two cuts since January and finished no worse than 31st on his last four starts. Rather, the problem has been turning mid-division into contention, anywhere. This course, in his home state, offers a good chance to step up. Wagner was on a great run here until last year's final round. In 2016 he finished fifth, shooting no worse than 68, then opened up with 67/64/65, sitting fifth going into the final round before falling to 24th with 74. Richy Werenski has no such qualification concerns, having moved into the top-100 after finishing second on his penultimate start. That wasn't the first time this promising player had caught the eye. At almost this exact stage last year, he finished second at similarly second-grade Barracuda Championship, then followed up with tenth here on his course debut. Another positive is that his best previous performance of 2018 came when fourth at Southwind, on the same Champion Bermuda greens used this week. Besides those peak performances, Werenski has registered a further five top-30s this summer, built upon excellent driving accuracy and greens in regulation stats. Both are usually important indicators for Sedgefield, especially the latter. Three more bubble boys made the shortlist at much bigger odds, whom it is hard to see winning but could easily justify a trade. From just inside the cut in 123rd place, this is a big week for Seamus Power [220.0]. He ranks sixth among these for strokes gained putting and produced his best result of the summer on the same greens when 12th at Southwind. 134th placed Ben Silverman [260.0] is finding a bit of form as he did around this time last year. He ticked a few statistical boxes, including seventh on these greens at the Sanderson Farms. Finally Denny McCarthy needs something special from 151st place but has been playing fairly in mid-division and started his last two events very strongly. A repeat could offer trading potential from inflated odds of [400.0].